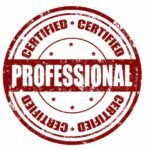 There are a number of certifications in business and often 2nd or 3rd tier awards as well as federal monies that are awarded to contractors with these certifications. You can get a jump start on your organization’s long-term contract growth by considering these minority business enterprise certifications. The NMSDC connects certified, minority-owned suppliers with thousands of corporate members, providing access to influential private-sector buyers. Additional MBE benefits include eligibility for NMSDC development programs and invitations to networking events. With a goal of awarding at least five percent of annual contracting dollars to small disadvantaged businesses, the federal government established the 8(a) Business Development program. Participating companies can compete for set-aside contracts, form joint ventures with other firms and receive assistance navigating federal guidelines. The Veterans Affairs Office of Small and Disadvantaged Business Utilization counsels, assists and protects the interests of veteran-owned enterprises. The office’s Vets First Verification Program affords veteran and service-disabled veteran-controlled firms the opportunity to apply for earmarked and sole source contracts. The Historically Underutilized Business Zone (HUBZone) program offers federal contracting preferences to companies operating in areas with proven economic needs, including rural counties, Indian lands and disaster areas. There is a map of qualified HUBZones to determine if your business is eligible for the certification. I highly recommend Jill for any position she is seeking. We have worked together on a number of projects over the last three years and I find her to be the rainmaker in any environment. She is someone of strength and quality of character. Someone you would take into battle with you and know that she will protect and serve, a real friend.